on behalf of Ed Keller, Jr. 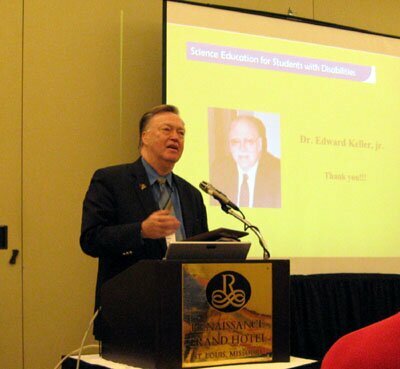 Thank you for nominating a worthy individual who has given a "lifetime" of service advocating for students of science who have disabilities. This award, which will be given annually, is created to recognize those who have selflessly worked throughout their careers to make science accessible for all children in school science classrooms. A plaque will be presented to the winner of this award at the annual Science-Abled Breakfast at the NSTA national convention. All nominees who do not receive the award will automatically be considered for the award the following year. Please complete the section below. When you click on "Submit," the nomination form will be automatically sent to the award committee. The person you nominate will then be contacted and sent an application form.